At the start of every season, I look to play for the team that has the best chance of winning it all. 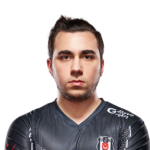 That’s why I joined Misfits last year; I thought they had the best possible roster. 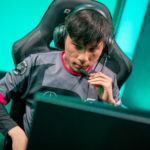 Misfits had just gone 2-3 against SK Telecom T1 at Worlds 2017 and they were the first team that approached me with an offer, even before I’d written about my free agency on Twitter. I was really surprised because I didn’t think they would replace anyone on their team. They were so quick to contact me, it really gave me a sense of being wanted. Since I thought everyone was good on that team, I felt it was my best choice. However, we didn’t make the playoffs in the 2018 spring split. That was probably as low as we could go. To this day, I still think we could have made it; but in the last few weeks, I had Bell’s palsy – a disease that makes it so that you can’t move half of your face – I had that for Week 8 and I had no idea how to deal with it. I lost one or two games singlehandedly simply because I couldn’t see my screen. I went back to check out the footage recently, and it looked really funny because I was rubbing my eyes 24/7 and inting. Had we won just one game out of those two where I inted, we could have made the playoffs. When the summer came up, we started really well – we were 9-0 and I think we could have won the split – but there were a lot of internal issues. In the end, we didn’t really work well as a team anymore, it all went downhill. 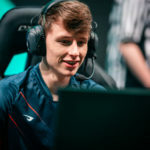 After that, I knew that if we had the same five players for 2019, I wasn’t going to rejoin Misfits, I knew we wouldn’t improve on 2018. 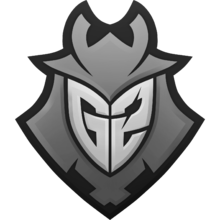 When G2 approached me, joining them was a no-brainer; I think G2 is the best possible roster that I could have joined. There was never any doubt in my mind about that. 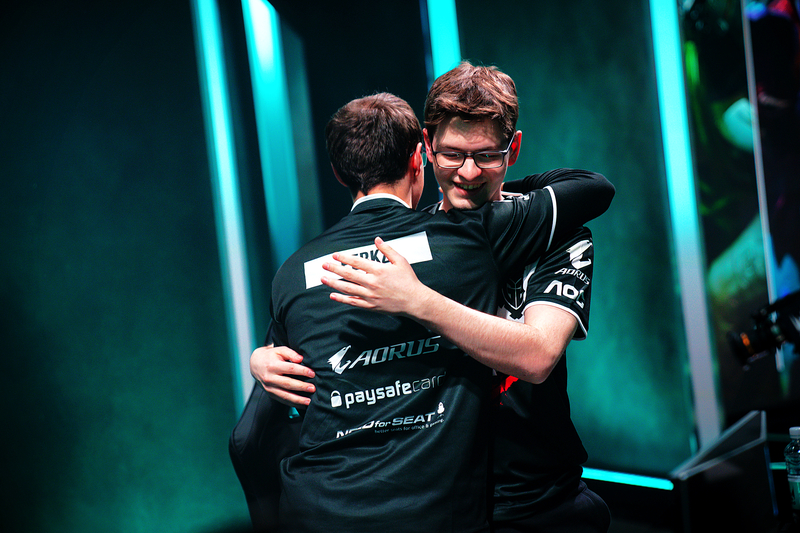 I knew in advance that Perkz was swapping to the bot lane, and we had discussed it. 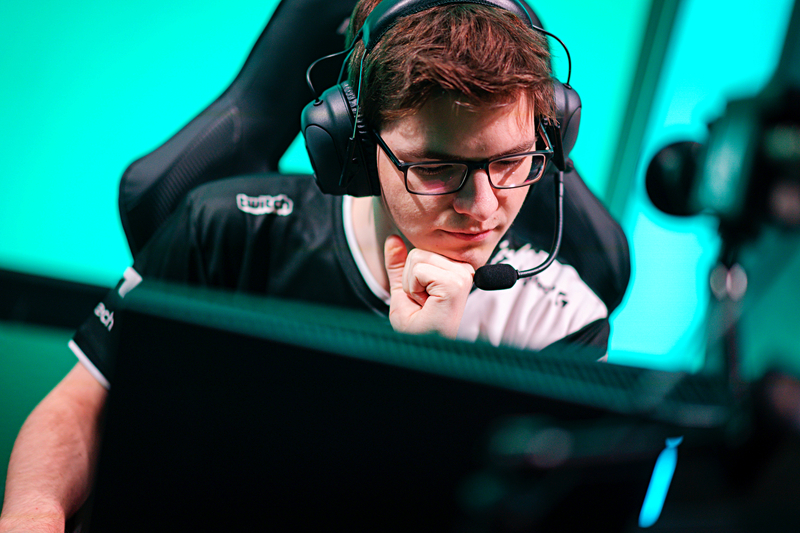 But that would only happen if we could get Caps as our mid laner since he’s the only player who could actually replace Perkz. I was pretty happy that it all worked out. Joining a new roster usually means that you have to click with new players, and that applied to me at the start of this season. For Caps, we mostly spoke during the off-season, and I found out quite fast that we are pretty similar in terms of how we think, and in humour! Just thinking about it makes me laugh. We grew close very quickly. On the other hand, I had never really spoken to Jankos before. He was the only one on the team from whom I didn’t know what to expect. I just knew that he was pretty funny from the Mic Checks. The thing that bonded Jankos and I was… anime: we’re both weebs! We watched some episodes of the airing shows together and he was really easy to approach and talk to. 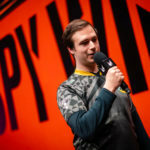 As far as my other teammates are concerned, I have already played with Wunder before in 2016, when we were both in Splyce, so I knew what to expect. I talked to Perkz a lot ever since I joined, partly because he’s Croatian and we speak similar languages. I can kind of understand what he says in Croatian, but I cannot talk back in my language because he probably wouldn’t understand a word. There are a lot more of my fellow Slovenians in the LEC now though. I’m really happy that both Crownshot and Nemesis made it – in my opinion, I thought they could have made it even earlier. For example, I thought they had a good shot at making it last year, but I guess they didn’t get as much exposure. I guess after they won the EU Masters with MAD Lions, people starting paying attention and recognized their skill. I’ve known them for five years already. I started playing Slovenian tournaments online and offline in Season 4, when I first reached a high elo ranking. At first, I played with a bunch of friends and classmates. Then, I played against Crownshot’s team, and they were pretty good. They stomped us, so I decided to join them instead and played my first Slovenian LAN event. We were third, and Nemesis won it. There’s a funny story from those Slovenian LAN’s that I’ve never told before. One event called Offblast came at a time when my parents and relatives really weren’t happy with me playing video games all the time. I had already signed myself up for the LAN, but I realized later that it was on the same weekend that a relative of mine had her wedding. In our family, whenever someone has a wedding, everyone has to gather… no exceptions. They wouldn’t let me go to the LAN event, and I was really, really mad. I just called one of my teammates and he came and picked me up from the wedding! Remembering it makes me laugh now, but at the time, my family was really mad at me – my mom was furious! In the end, we finished third at the event, and I couldn’t play on the PC for a week once I got home. I did get some new headphones as a prize though, so worth. When I look back now, I consider the past two years with Splyce and Misfits to have been a failure. 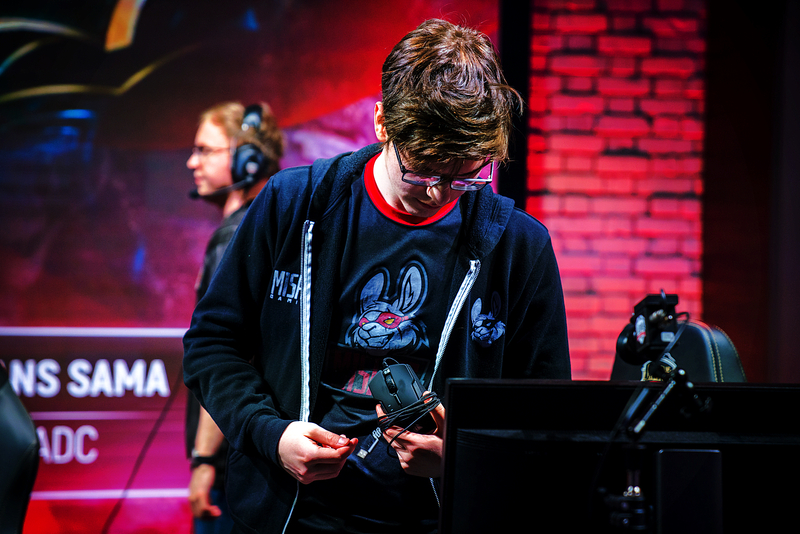 In the first year I played in the EU LCS, I went to Worlds, but it only went downhill after that. This year I want to get back on track and I’m sure that we, G2 Esports, can win everything that we play in: every split, the Mid-Season Invitational, even Worlds. With this team, we really could win everything, and I am really looking forward to it. 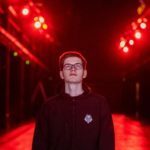 Slovenian LEC Support for G2 Esports.